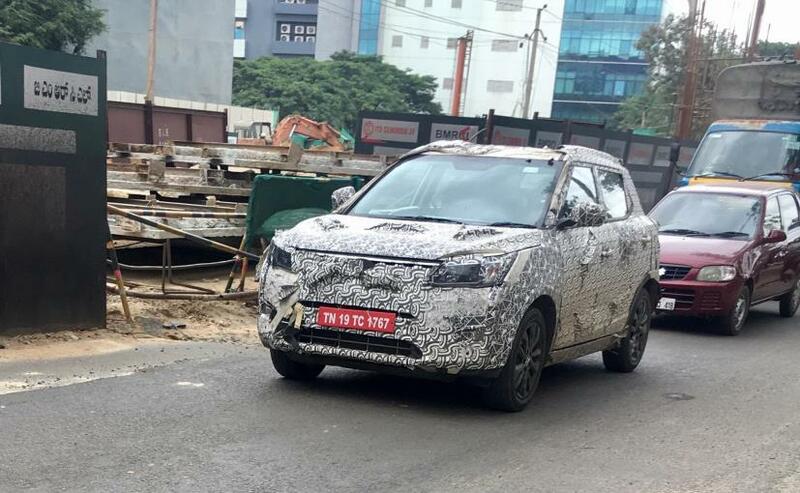 The Mahindra S201 has been spotted testing ahead of its official unveil, and despite the camouflage we can see that the SUV is nearing production stage. Launch in expected sometime in early 2019. Another near-production test mule of the Mahindra S201 was spotted recently. It is set to be the next big launch from the home-grown automaker, after the arrival of the Mahindra Alturas G4 full-size premium SUV, which is slated to be launched on November 24. While the name of the new sub-4-metre SUV is yet to be announced, the new Mahindra S201 is expected to be launched in early 2019, and it will be one of the three all-new models Mahindra promised to launch this fiscal year, the Marazzo and Alturas being the other two. Based on the SsangYong Tivoli, the India-specific S201 will come with a bunch of visual changes. 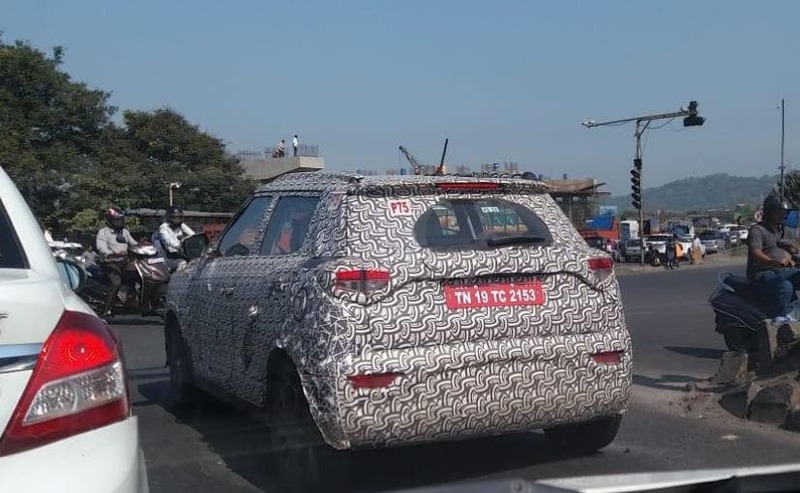 While this is not the first time that the Mahindra S201 has been spotted testing, despite the heavy camouflage, the latest one does look like it's almost production ready. While we only get to see the rear section of the SUV here, we can see a portion of the new production taillamps, the roof mounted spoiler with integrated brake light, and the reflectors on the rear bumper. Although we do not get to see front section of the S201 here, based on some of the older spy images of the SUV, we know that the new SUV will come with a new face as well, with projector headlamps, LED daytime running lamps and more. The SUV will also feature sporty diamond-cut alloy wheels, roof rails and possibly a bunch of chrome styling elements. Similarly, in one of the previously surfaced spy images, we also got to see the interior of the S201, which will come with a well-appointed 5-seater cabin with a dual tone dashboard and a larger touchscreen infotainment system. The SUV also gets a large twin-pot instrument console with a central MID, along with a new steering wheel, engine start/stop button, and cruise control. The SUV also gets two USB ports, AUX-IN and a 12V power socket, among others. The engine details are still unknown, however, the upcoming Mahindra S201 is expected to come with the existing 1.2-litre G80 turbo petrol and 1.5-litre diesel engines. Transmission duties are likely to be handled by a 5-speed manual and possibly an AMT unit.